Just in case you’ve been living in a cave that’s been buried by an avalanche, thus leaving you completely without contact to the outside world, you’ve probably heard by now of Felix Baumgartner. This is the guy who just recently ascended to the very reaches of space only so he could jump back down to the Earth again and break all sorts of records. Eight million people got a view of his jump via YouTube, making it the most watched stream in the Internet’s rather brief history. And, of course, the man was successful in his endeavor, else we would be hearing more about his funeral than about his crazy jump. 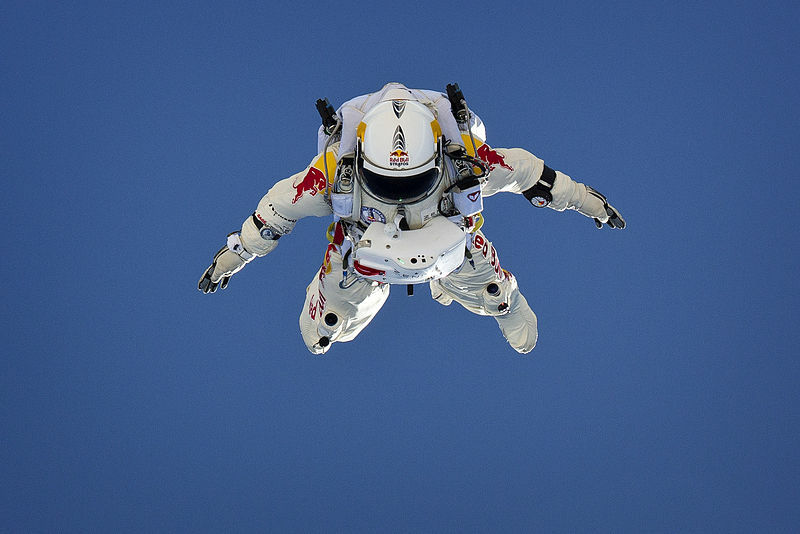 The spot where he jumped from was high up in the Earth’s atmosphere, around 128,000 feet (24 miles) in the sky. This near-space experience gave Baumgartner the distinction of entering into the Guinness Book of World Records three times. Once for having the highest freefall, another time for being the first human being to break the sound barrier (without a vehicle, that is) and the final time for achieving the highest manned balloon flight. After he leapt, it took Baumgartner more than nine minutes to finally touch down on solid ground again. That’s an amazing amount of time suspended above the ground. And even if what this daredevil did doesn’t really help us develop our space technology or get to other planets faster, it does demonstrate the adventurous spirit that some people still possess. I’m guessing that it won’t be long before 24 mile jumps to the Earth become a bit of a hobby among the most enthusiastic extreme sports aficionados. And those very same people may end up being some of the first people to jump onboard when it comes to experimental space programs. So, in the end, they just may be helping with technological development after all.